Thank you George! 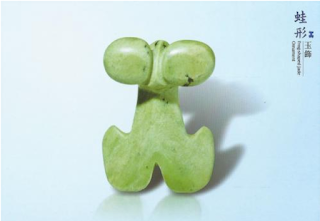 From the, 'Prehistoric Artifacts of Taiwan' set are these jade objects from the National Museum of Prehistory. 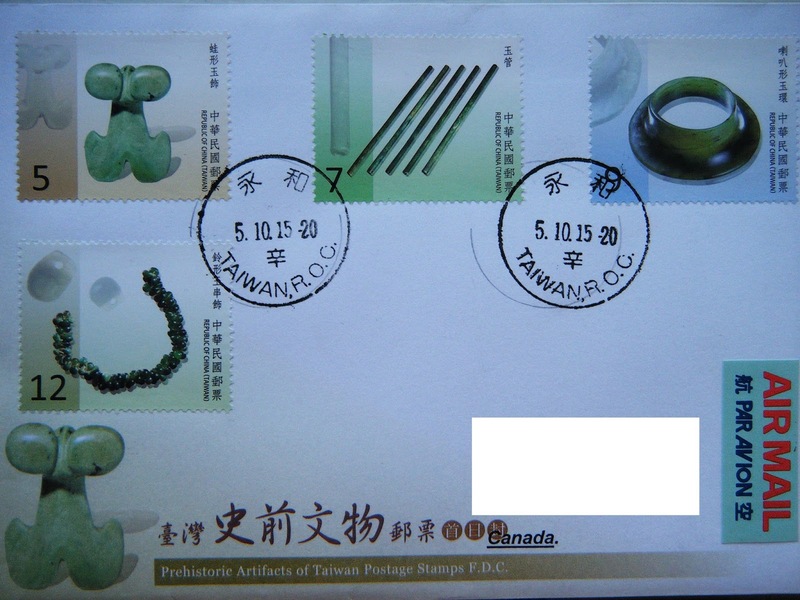 Clockwise from top left: a frog ornament, tubes, trumpet bangle and bell shaped beads. Are these all jewelry pieces from graves? Thank you Paleophilatelie! Jade earring with the frog ornament on cancel. Issued: August 21 2015. Thank you Alister for this postcard! A close up of the frog ornament.